Weak supply continues to limit the ability of homebuyers in the Greater Toronto Area with prices soaring. A new report from the Building Industry and Land Development Association (BILD) shows a 13.2% drop in overall inventory at the end of December compared with a year earlier; there were just 11,397 new homes available to buy. Compared to 2007, there was a 60.3% drop. For single-family homes, the slump was 74.4% compared with 2007, with inventory of just 3,481 new homes available. The figures, provided by the Altus Group (BILD’s official data source) shows that there were 44,143 new homes sold in the GTA in 2017, the fourth strongest year since tracking began in 2000. Condos took an 82.5% share of those sales (36,429 units) while 17.5% were single-family homes (7,714). The benchmark price for a new single-family home was $1,225,774, up 23.2% from a year earlier; new condo prices surged 41.3% to $716,772. 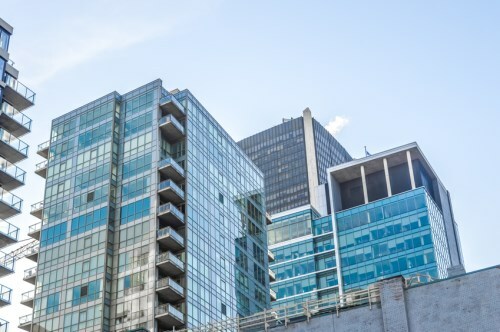 “While many end user buyers have been looking to the new condominium apartment sector for more affordable homes, some are now starting to be priced out of this segment as well,” said Patricia Arsenault, Altus Group’s Executive Vice President of Research Consulting Service.